It would take too long to list the extensive number of attacks on innocent people at public places in 2017 — Manchester, Barcelona, Las Vegas — are just some of the notable ones that would have been viewed here in Canada. 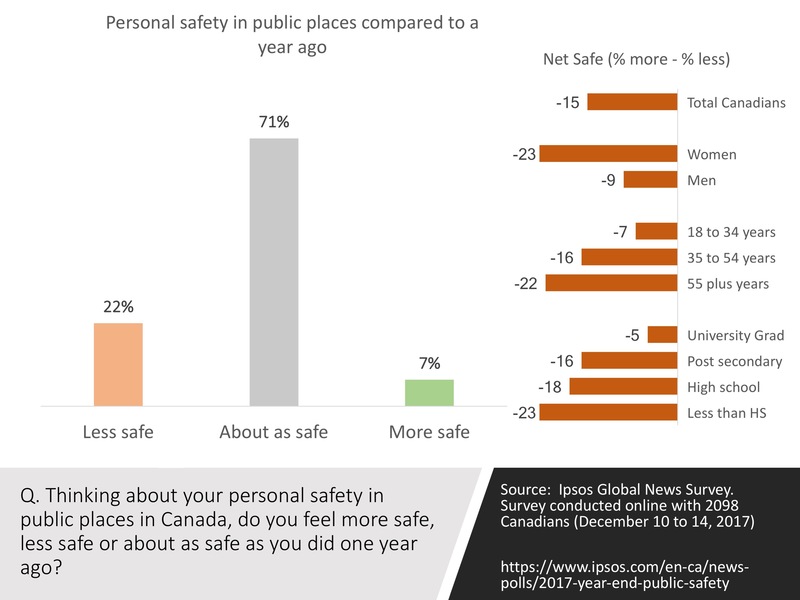 Despite the number of attacks, or perhaps because we are becoming accustomed to them, Canadians do not feel more unsafe in public places than they did in 2016 according to a recent Ipsos Global News poll. In 2016, 22% felt less safe and this continues in 2017. This is not to say that 22% who feel less safe is not a significant issue. It is even higher when we consider sub-groups. Women, older Canadians and those with less education are more likely to take the less safe view. The chart below shows the net difference, that is the % more safe minus the % less safe but showing just the % less safe would show the same relationship. Canadians do distinguish between types of public places. The following lists the areas with the most unsafe (Not very or not at all safe) views. In a tall building, like a skyscraper — 27% not very or not at all safe. On public transit — 26% not very or not at all safe. In an arena or stadium — 22% not very or not at all safe. Natural places for people to feel less safe. Interestingly, Canadians do not really think these are less safe either. 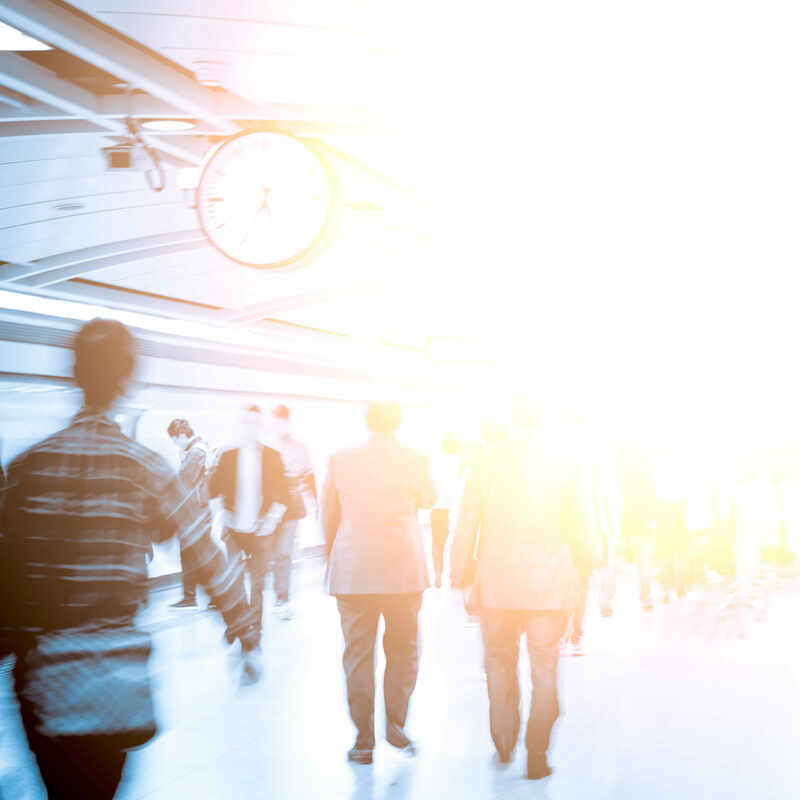 While the 22% who feel less safe than a year ago is important, the lack of change since 2016 may indicate that Canadians are either being inoculated by exposure or largely don’t believe Canada is a serious target. Will be interesting to see how this unfolds in 2018. Methodology: Online survey of 2098 Canadians conducted from December 10 to December 14, 2017, exclusively for Global News.